Time for another seed grow post as tomorrow is the first Sunday of June. Hope you've had a great spring and your summer is off to a great start. How are you nasturtiums doing? Make sure to get your links in and that you're using the signature line. Garden Girl~ The Happy Nasties. In the Garden Online~ Peppers and Nasturtiums. The Running Garlic~ Gardening Update. Evolution of a Gardener~Growing Nasturtiums. Garden Faerie's Musings~ Nasty Companions. Indoor Garden(er)~ Seed GROW project 3. Brown Thumb Mama~ Seed GROW project: In the Ground and Growin'. Really Rose~ Spitfires in my Garden. Happy Hobby Habit~ Grow Project, Post 4. Gardening in my Rubber Boots~ It was a Success? Seed GROW Project. The Garden of Live Flowers~ June: Where are the flowers? Dotty Plants Journal~When the Weather is Hot, Nasturtiums are Not. The Home Garden~ Grow Project: 'Spitfire' Nasturtiums Take Two. True Epicure~ Seed GROW: The Spitfires Bloom. Miller Time~ GROW Project Update. Our Little Acre~ Not Yet a Climber. Life on the Balcony~ Trellis Ideas for Nasturtiums. My Skinny Garden~ Colors That Command Attention. Cheesehead Gardening~Seed GROW project June update. The 6X8 Garden~ GROW-June Update. 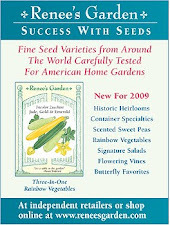 Get in the Garden~ Seed GROW Project: Miserable May. That MiniGardener~ Seed GROW Project for June. Jenn's Cooking Garden~ Nasturtiums...The progression of The Spitfire. K-Town Homestead~ A Twisted Nose. My Garden Journal~ The GROW project update. The Write Gardener~ Weather Like This Scares Me! Yard is Green~ The Grow Project-June Update. Here's my link for June. Things are starting to grow! I can't wait to see how the nasturtiums are looking everywhere else. woo! I'm hoping my plants start looking anything like others' do. Everything seems to be growing slowly for me. My Nasturtiums are on the way OUT. Hot weather is not kind to them. Good thing I got an early start. I saved back seed to plant in the fall. I had to start again since my first batch completely croaked. Not quite sure what did they in but I do have more on the way! Seed GROW Project: Not Yet a Climber. Sorry I'm some late with my report Mr. BT. Hi MR. BT, my July blog post about 'Spitfire' is live.